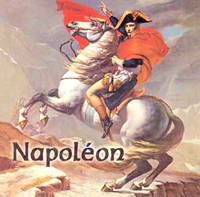 If you want to buy the Napoleon music CD then click on the link above. Please complete the order form and to let Olvi know you have been referred by us we would ask that you type AUSTERLITZ in the commentary zone at the end of the form. Shipping and handling fees are applicable to the orders, except for people ordering from Canada.